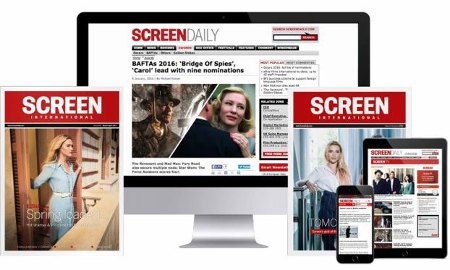 Screen canvassed the UK industry for reaction to the surprise news. “Are you sure it is not an April Fool’s day gag?” was among the responses from UK industry to David Kosse’s shock decision to quit Film4 after only 18 months. “It is a bit of a surprise because they had just announced this new infusion of money which seemed to be part and parcel of David’s raison d’etre - to make Film4 more impactful in a financial way on the industry,” said BAFTA-winning producer Stephen Woolley of Number 9 Films. Woolley was among industry Screen spoke to who questioned whether Kosse - who is to leaving to head up STX’s international division - has been in the job long enough to leave a discernable legacy. “It doesn’t seem as if he (Kosse) has been there long enough to make any kind of impact or to have left any kind of legacy,” he commented, noting that Oscar-nominated 2016 drama Carol, produced by Number 9 and Killer Films and supported by Film4, was backed during Tessa Ross’s campaign. “A lot of films that were released in his tenure were initiated originally by Tessa,” Woolley noted, adding that Paolo Sorrentino’s Youth was also supported by Film4 under Ross. Lenny Abrahamson’s Room was among Kosse’s major successes during his time at Film4. The drama scored four Oscar nominations, including a Best Actress Oscar for Brie Larson, and has taken more than $35m at the global box office. The executive pushed hard for Film4 to sharpen its commercial instincts, a legacy for which Kosse will undoubtedly be remembered. Observers also point out that Kosse was passionate about the projects on the Film4 slate, among them the Trainspotting sequel and Ben Wheatley’s Free Fire. But there is clearly some bitterness and surprise at the timing of the departure which comes only weeks after Channel 4’s announcement of a major increase to Film4 funding, something likely pushed through by Kosse himself. One established UK producer predicted significant fall out from Kosse’s departure. “He was given the huge budget increase in February and almost immediately afterwards he’s off. If you’re in that role, you’ve got to have some cultural responsibility, some creative responsibility - running Film 4, like running BBC Films, is not just a job. Channel 4 boss David Abraham appointed Kosse with a clear appreciation for the latter’s commercial nous and was willing for Kosse to steer the division in a new direction. Another senior executive who has worked with Kosse pointed out the obvious attractions that the new job at STX must have held for the Film4 boss. “The opportunity was probably too good to pass up,” the executive commented. At STX, Kosse is likely to have the chance to build up an international team, just as he did when he was heading Universal Pictures International, which was active in Russia, France, Japan, Australia and China. Meanwhile, former head of BBC Films and founder of Origin Pictures, David M. Thompson praised Kosse’s contribution to Film4. “Tessa (Ross) was a hard act to follow but he (Kosse) had managed to bring real entrepreneurial flair together with building on the artistic integrity and edge of Film4. He has done a very clever balancing act,” Thompson said. The quest will now begin again to find a new head of Film4 (though Screen sources have already indicated that Cohen Media Group president Daniel Battsek is a strong candidate). “It opens up the whole game again. You can get the book out now and start making the odds and taking bets,” Woolley commented.